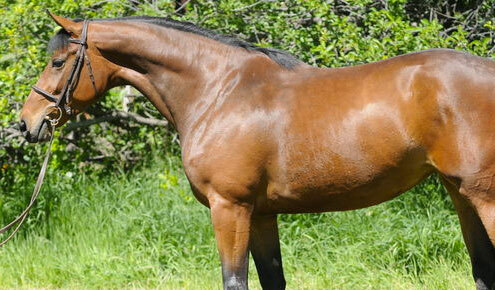 Admiral Z is an elegant, intelligent and hardworking stallion with an incredible disposition and impeccable lineage. 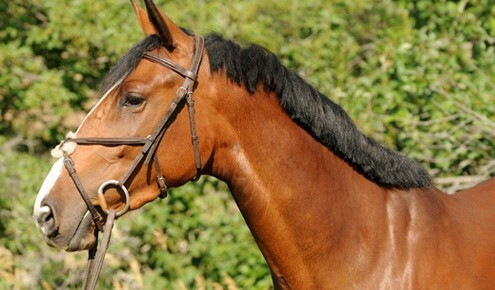 Approved by the IJF, this stallion loves to perform, and captures the heart of everyone he meets. 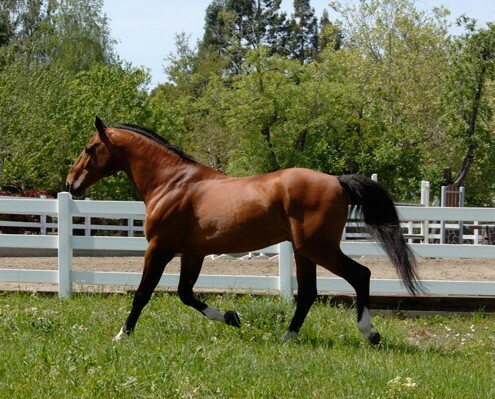 A true friend with a passion for flatwork, Admiral Z is a superb individual with unique traits we find simply irresistible. 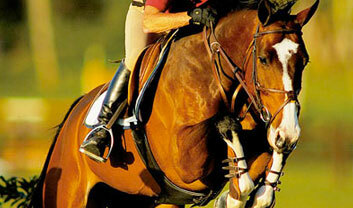 Admiral Z is nominated with the Performance Horse Registry (PHR). 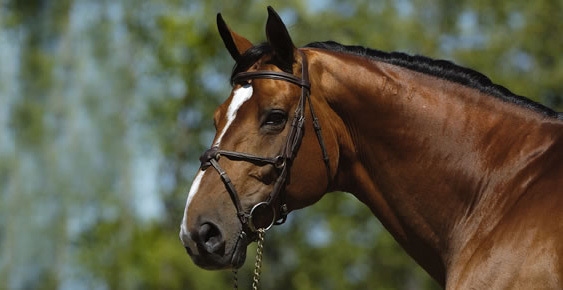 A product of Leon Melchior’s superb performance breeding program at Zangersheide Stud, Admiral Z comes from a long line of proven performers on both his sire and dam lines. 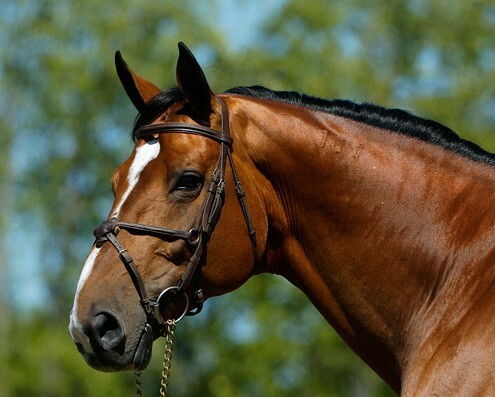 His grandsire Athlet Z, son of the great French stallion Almé Z, was a successful international show jumper and sire of multiple world-class show jumping horses: Athletico (Ludger Beerbaum), Athlet (Willi Melliger), Adelfos (Markus Fuchs) and Amadeus (Lars Neiberg) to name a few. 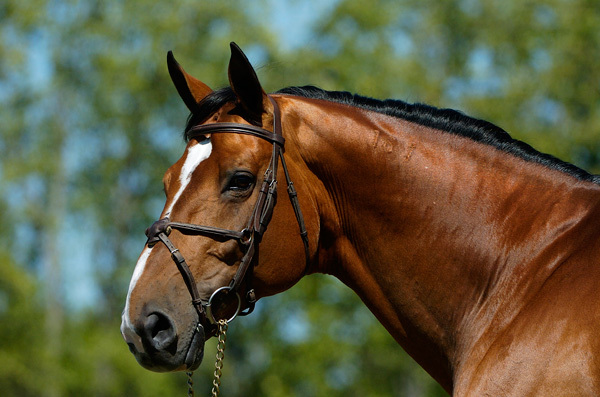 Great grandsire Almé Z, also represented on Admiral Z’s dam’s side, influenced show jumping bloodlines all over Europe and is the sire of many world champions such as Galoubet, I Love You, Jalisco and Quidam de Revel. 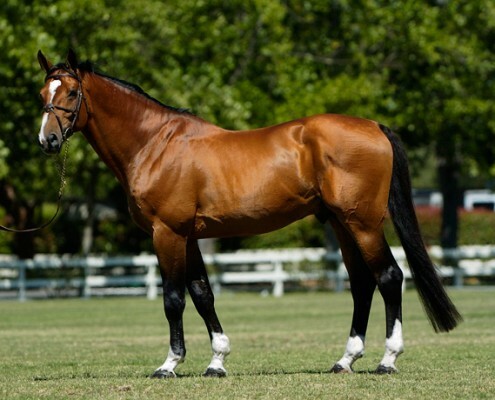 Grandsire Ramiro Z, was an elegant and powerful athlete who won at all levels of show jumping – the Nations Cup, Puissance (to 2.2m) and many International Grand Prix events. 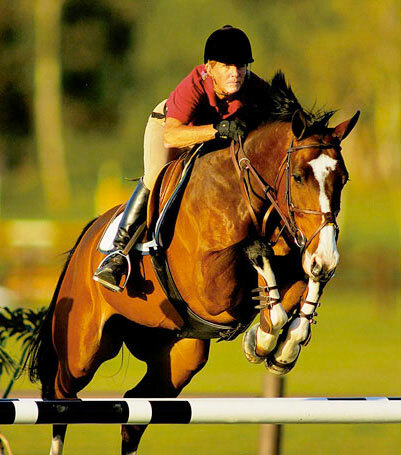 The brilliant Holsteiner is the sire of many exceptional show jumpers including the famous Ratina Z, Olympic gold and silver medal winner in Barcelona and winner of the Volvo World Cup Final in 1993. 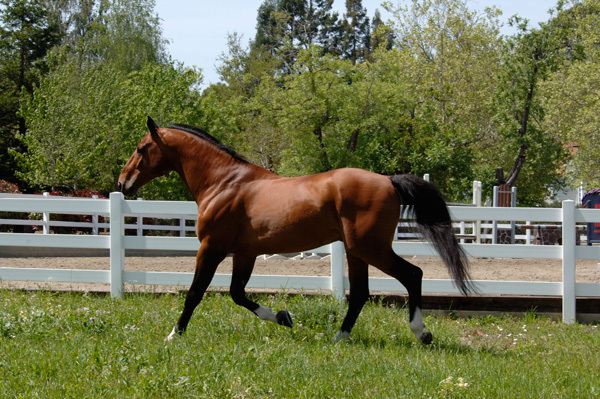 Ramiro’s offspring also excel in International Dressage competition. 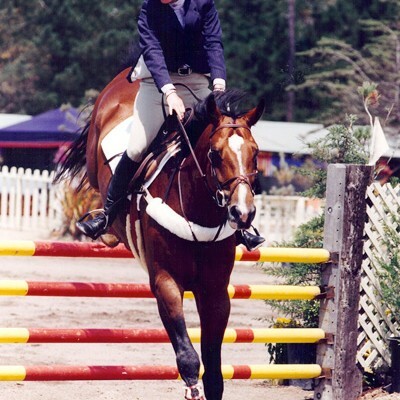 His great-grandsire on his sire’s side, the Thoroughbred Sacramento Song, stood for seven seasons in Holstein where he produced a large number of first-class show jumping horses. 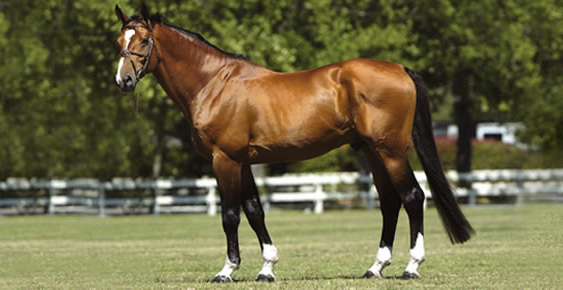 Most notably he is the sire of Sandro (Franke Sloothaak), Societe (D. Hafemeister, Nelson Pessoa) and San Siro (G. Muller). 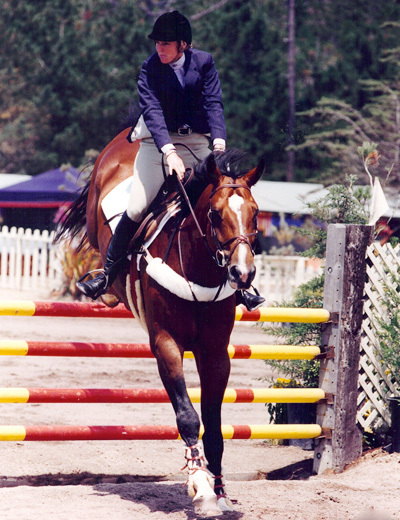 Admiral Z’s Grand Prix career with Richard Spooner had just started when Barb Ellison acquired him as an Amateur Owner horse. 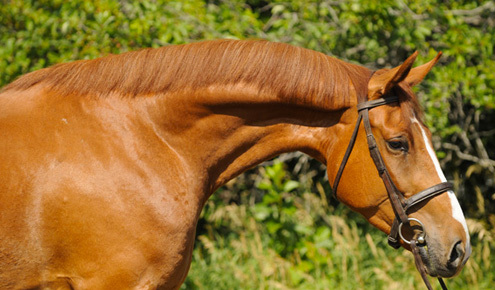 An injury ended his show career, however, he is still the favorite trail horse, a trusted companion and a superb breeding stallion. 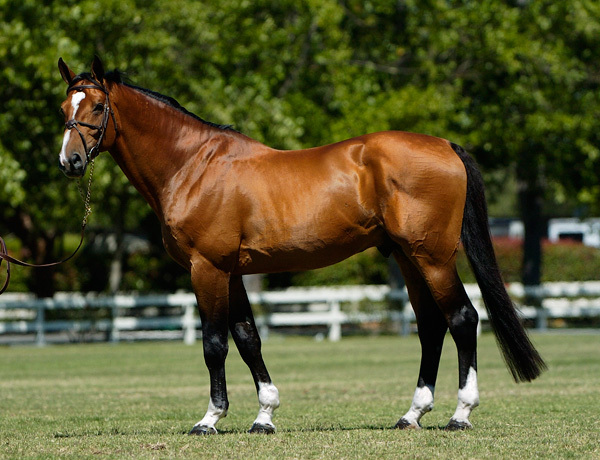 His offspring are young, promising and approved and inherit their sire’s wonderful disposition, willingness to work and outstanding athleticism.